2. Click Edit at the top of the page, then select the Note Types tab. 3. 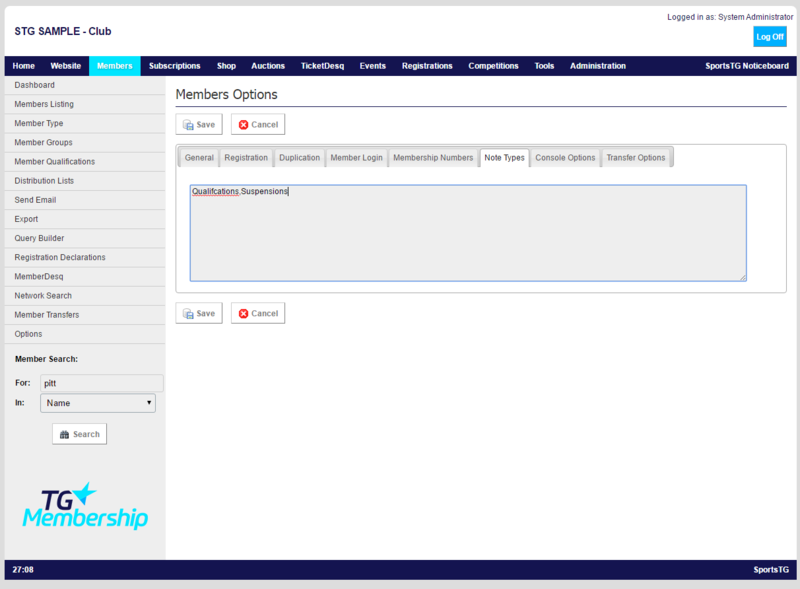 Create your Note Types here, when creating a number of different note types for your members listing, separate each note type with a comma. The note types will then display in a dropdown menu on the Member Record to allow you to track different information in different categories. 4. Once you've added your Note Types, click Save. Note: Notes are a great way of keeping confidential information about members as only administrators of your organisation can see the information that is placed in Notes.